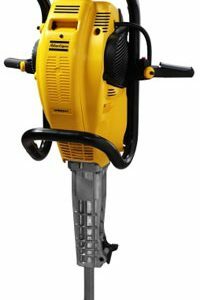 Equipmentland offers high-end and economy hydraulic breakers. 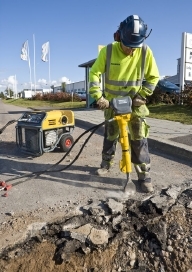 From the top of the line, Atlas Copco to quality, reliable hammers and support from UB Equipment other models. Also see our lineup of hydraulic vibratory compactors. 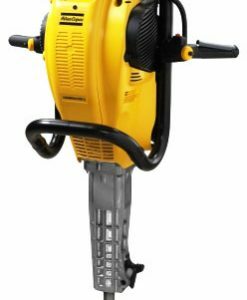 – Drop hammer concrete breaker with hydraulic continuous chaindrive. – Breaks up to 9 inch thick concrete with reinforcement. – 56 inch stroke; up to 60 strokes per minute. – For 3 inch to 8 inch wood or steel posts. – Standard 6 inch round head collar. 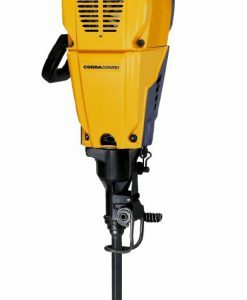 – Hydraulic drop hammer design, does not operate with hydraulic cylinders, springs, or return lines. – Includes hoses and couplers. – ttl weight 57 lbs.